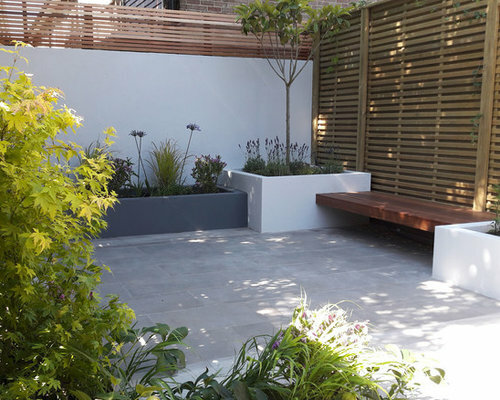 A small courtyard garden with some raised beds and a cantilevered bench. 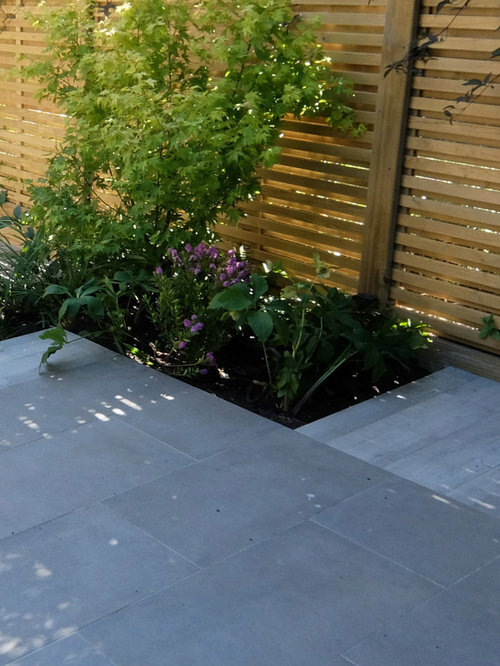 Low maintenance porcelain paving from Mandarin Stone (Industry Lead and some wood effect porcelain in the same colour), and some smart fencing panels (Jacksons Venetian Hit & Miss). 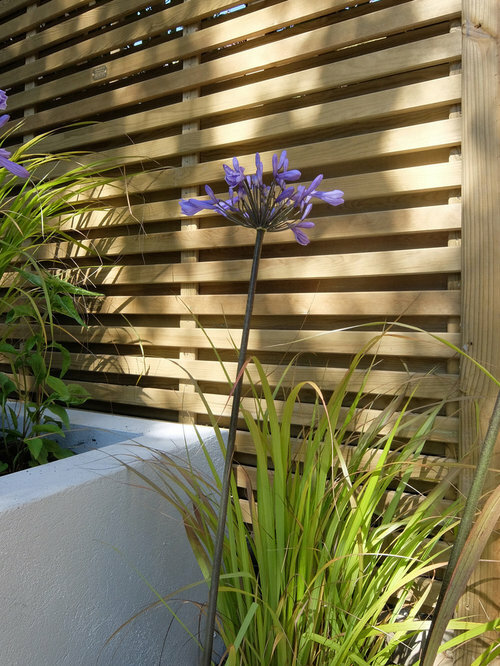 The planting includes an Eriobotrya, and Acer, and a mix of gasses and perennials, some of which are evergreen for year round interest. 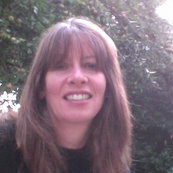 Photos of the garden taken when just planted. 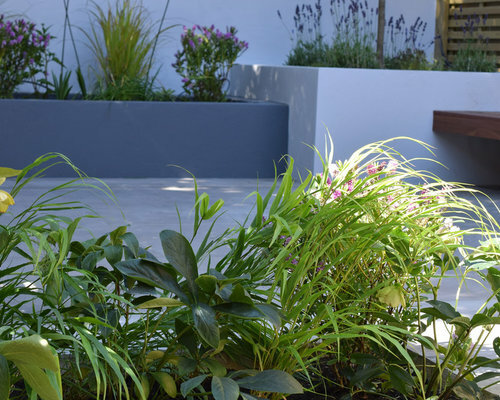 A small contemporary courtyard garden in Chiswick, raised beds with grasses and perennials, and some evergreen Hebes and Agapanthus and Hellebores for year round ground cover. 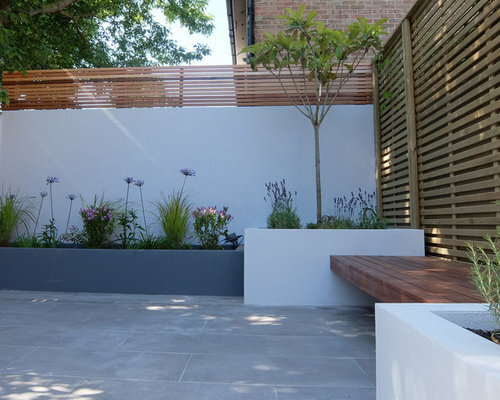 A small contemporary courtyard garden in Chiswick, with a built in hardwood bench. Venetian hit and miss fence panels cast shadows in late afternoon sun. 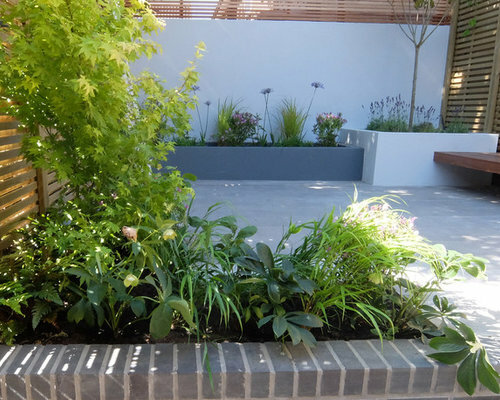 Grasses and Hellebores in the foreground of this small courtyard garden in Chiswick. 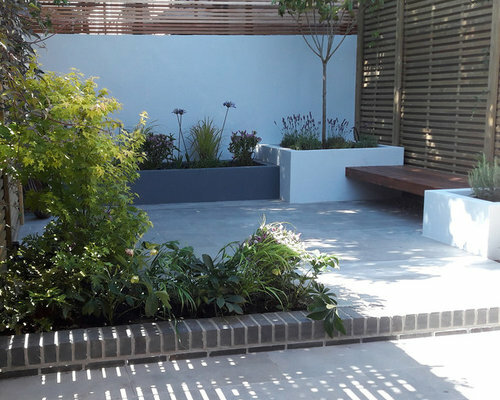 Cantilevered bench in this small courtyard garden in Chiswick, West London. 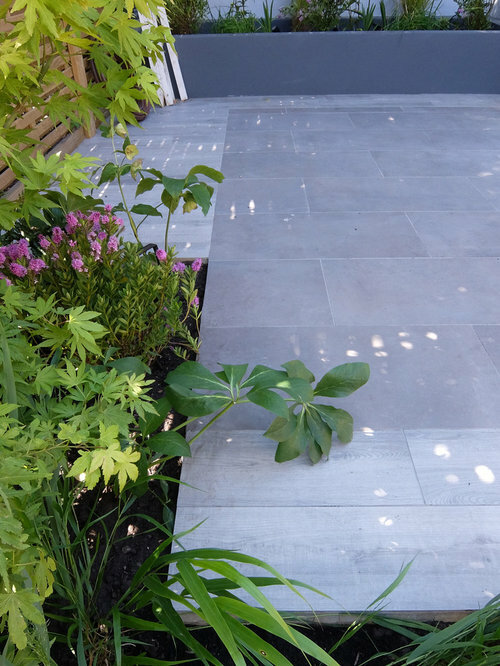 Porcelain paviing detail - Industry Lead Porcelain & plank effect Porcelaiin from Mandarin Stone.